Supreme Champion: Laurelmore Duplex Impala bred by John & Ricky Barrett & Sons, Laurelmore, Togher, Cork. 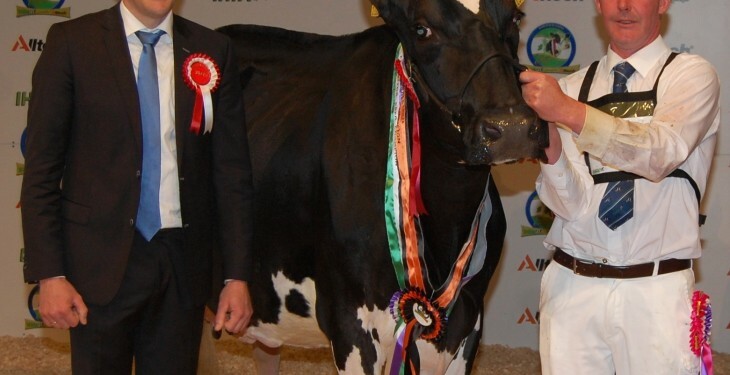 IHFA Exhibitor Bred Champion: Laurelmore Duplex Impala bred by John & Ricky Barrett & Sons, Laurelmore, Togher, Cork. The IFA Premier Breeder: Philip & Linda Jones, Hallow Herd, Gorey, Co. Wexford. The IFA Premier Exhibitor: Philip & Lind Jones, Hallow Herd, Gorey, Co. Wexford. Best Udder: Laurelmore Duplex Impala bred by John & Ricky Barrett & Sons, Laurelmore, Togher, Cork. 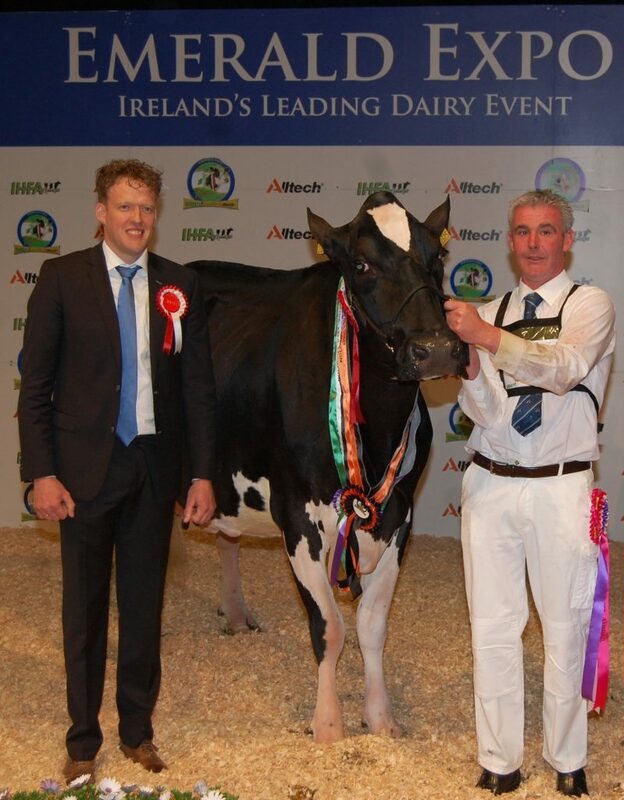 1st Clonpaddin G Chip Fame Owner/Exhibitor: Gary Hurley, Clonpaddin, Ballymoyle, Arklow, Co. Wicklow. 2nd Cahirmee Demp Perfection Owner/Exhibitor: Pat Smith, Cahirmee, Doneraile, Co. Cork. 4th Clonpaddin Atwood owned by Gary Hurley, Ballymoyle, Arklow, Co. Wicklow. 6th Lumville Ann August owned by Richard Whelan, Towlagh, Clonard, Co. Meath. 1st Glaslough Damion Breeze owned by David & Kenny Boyd, Glaslough, Co. Monaghan. 2nd Croagh Susie Mist 92 owned by Patrick & Derrick Frawley, Croagh, Rathkeale, Co. Limerick. 3rd Mullaghlands Dusk August owned by Patrick Gaynor, Mullaghlands, Co. Cavan. 4th Lumville F Chrissie owned by Richard Whelan, Towlagh, Clonard, Co. Meath. 1st Cahirmee Atwood Presence owned by Pat Smith, Cahirmee, Doneraile, Co. Cork. 2nd Clonpaddin AFT Mona owned by Gary Hurley, Clonpaddin, , Arklow, Co. Wicklow. 3rd Lumville Darren Chrissie owned by Richard Whelan, Towlagh, Clonard, Co. Meath. 4th Knockbrown Cricket Lulu owned by David O’Sullivan, Knockbrown, Bandon, Co. Cork. 6th Bonaghmore Rosie Mammoth owned by Kevin Behan, Bonaghmore, Rathangan, Co. Kildare. 1st Tubbertoby Atwood Fran owned by Paul Flanagan, Termonfeckin, Drogheda, Co. Louth. 2nd Hallow Fever Grace owned by Philip & Linda Jones, Gorey, Co. Wexford. 3rd Bunacloy Windbrook Tipsy owned by Michael Magan, Bunacloy, Co. Longford. 4th Lumville Augemmy owned by Richard Whelan, Towlagh, Clonard, Co. Meath. 1st Suirvalley OT Starlight owned by Patrick Gaynor, Mullaghlands, Co. Cavan. 2nd Mullaghands Swisstime owned by Patrick Gaynor, Mullalands, Co. Cavan. Champion: Tubbertoby Atwood Fran owned by Paul Flanagan, Termonfeckin, Co. Louth. Honourable Mention: Glaslough Damion Breeze owned by David & Kenneth Boyd, Glaslough, Co. Monaghan. 1st Kevin Smith, Cahirmee, Doneraile, Co. Cork. 2nd Pauric Coleman, Tinnecarrig, Borris, Co. Carlow. 3rd Doireann Mulhall, Danville, Co. Kilkenny. 4th Lauren O’Toole, Evergreen, Bagnelstown, Co. Carlow. 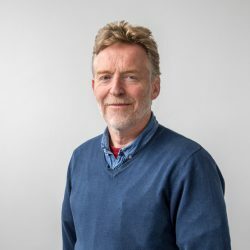 5th Michael O’Sullivan, Knockbrown, Bandon, Co. Cork. 6th Sinead O’Sullivan, Knockbrown, Bandon, Co. Cork. 2nd Stacey O’Sullivan, Knockbrown, Bandon, Co. Cork. 4th Andrea Rafferty, Mullackbrackscott, Co. Monaghan. 5th Emma Behan, Rathangan, Co. Kildare. Reserve: Kevin Smith, Cahirmee, Doneraile, Co. Cork. Honourable Mention: Stacey O’Sullivan, Knockbrown, Bandon, Co. Cork. 1st Churchclara Baby Birch owned by Bill O’Keeffe, Churchclara, Co. Kilkenny. 2nd Kilsunny Ruby 84 owned by Trevor Dudley, Dovea, Thurles, Co. Tipperary. 3rd Kilsunny Ruby 87 owned by Trevor Dudley, Dovea, Thurles, Co. Tipperary. 1st Monasteroris Fanny 9th owned by Michael Manley. 2nd Ballyboy Gibson Carmen owned by Kevin Behan, Bonaghmore, Rathangan, Co. Kildare. 1st Churchclara Cool Cilla owned by Bill O’Keeffe, Churchclara, Co. Kilkenny. 2nd Kilsunny Judy 133 owned by Trevor Dudley, Dovea, Thurles, Co. Tipperary. 3rd Mountain Piet Rosie owned by Michael Spillane, Limerick. 1st Clandeboye Pride Genevive owned by Gary Jones and Izzy Whittaker. 3rd Dunum Blossom 2 owned by Gerard Maher, Doon, Co. Limerick. 4th Blackisle Pauline ET owned by Pat O’Keeffe, Churchclara, Co. Kikenny. 5th Kilsunny Trump owned by Trevor Dudley, Dovea, Thurles, Co. Tipperary. 6th Mountain Glenalbyn Rosie owned by Michael Spillane, Limerick. 7th Carrickshock Erin 2 owned by Pat Cleary, Hugginstown, Co. Kilkenny. Champion: Clandeboye Pride Genevive owned by Gary Jones and Izzy Whittaker, Gorey, Co. Wexford. Reserve: Mullaghlands Pride Swiss owned by Patrick Gaynor, Mullaghlands, Mullagh, Co. Cavan. Reserve: Churclara Blackie Cir­cus owned by Bill O’Keeffe, Churchclara, Clif­den, Co. Kilkenny. Hon­ourable Men­tion: Churchclara Cool Cilla owned by Bill O’Keeffe, Churchclara, Clif­den, Co. Kilkenny. 4th Evergreen Wood Blaze owned by Liam & Sandra Murphy, Fenagh, Bagnelstown, Co. Carlow. 1st Clonpaddin MPW Jill owned by Gary Hurley, Clonpaddin, Arklow, Co. Wicklow. 2nd Tubbertoby Sid Jenn owned by Paul Flanagan, Termonfeckin, Co. Louth. 4th BGaldonnel Fever Rosebud owned by Cyril & John Dowling, Baldonnel, Co. Dublin. 1st Baldonnel Sanchez Vera owned by Cyril & John Dowling, Baldonnel, Co. Dublin. 2nd Weepingash Jasper Appoint owned by Michael Magan, Bunacloy, Co. Longford. Champion: Hallow Atwood Twizzle owned by Philip & Linda Jones, Gorey, Co. Wexford. Reserve: Clonpaddin WPW Jill owned by Gary Hurley, Clonpaddin, Arklow, Co. Wicklow. Hon. Mention: Baldonnel Sanchez Vera owned by Cyril & John Dowling, Baldonnel, Co. Dublin. 1st Hallow Mojo Daisy owned by Philip & Linda Jones, Gorey, Co. Wexford. 2nd Laurelmore Pala Vera owned by John & Rickey Barrett & Sons, Laurelmore, Togher, Cork. 3rd Swiftsheath Breeze 1114 owned by Tom Murphy, Swiftsheath, Jenkinstown, Co. Kilkenny. 1st Glaslough Miss Petra owned by David & Kenny Boyd, Glaslough, Co. Monaghan. 2nd Croagh Susie Mist 47 owned by Patrick & Derrick Frawley, Croagh, Rathkeale, Co. Limerick. 3rd Rosstemple Minister Cindy owned by John Curtin, Rosstemple, Co. Limerick. 1st Laurelmore Duplex Impala owned by John & Rickey Barrett & Sons, Togher, Cork. 2nd Hallow Lheros Indianink owned by Philip & Linda Jones, Gorey, Co. Wexford. 3rd Glaslough Goldwyn Bret owned by David & Kenny Boyd, Glaslough, Co. Monaghan. 4th Clonpaddin DLX Chrisi owned by Gary Hurley, Clonpaddin, Arklow, Co. Wicklow. 1st Hallow Lheros Indianink owned by Philip & Linda Jones, Gorey, Co. Wexford. 2nd Glaslough Goldwyn Bret owned by David & Kenny Boyd, Glaslough, Co. Monaghan. 1st Philip & Linda Jones, Hallow Herd, Gorey, Co. Wexford. 2nd David & Kenny Boyd, Glaslough Herd, Glaslough, Co. Monaghan. 3rd Paul Flanagan, Tubbertoby Herd, Termonfecin, Co. Louth. 4th Gary Hurley, Clonpaddin Herd, Arklow, Co. Wicklow. 5th Pat Smith, Cahirmee Herd, Cahirmee, Doneraile, Co. Cork.